John, of ComicBookPage, and Kay, of PopArtsPlace, have a spoiler filled discussion about the second season of Legends of Tomorrow including spoilers for Arrow, Flash and Supergirl. 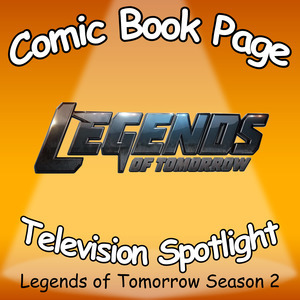 If you haven’t watched Season 2 of Legends of Tomorrow yet, you may not want to watch this YouTube clip of one of the opening monologues used during Season 2… but for those who have seen it, hopefully it will bring back some fond memories. This entry was posted in Podcast, Podcasts, PopArtsPlace, Review, Television and tagged CW, CW Network, Dominic Purcell, Legends of Tomorrow, The CW, Victor Garber on October 7, 2017 by Kay.